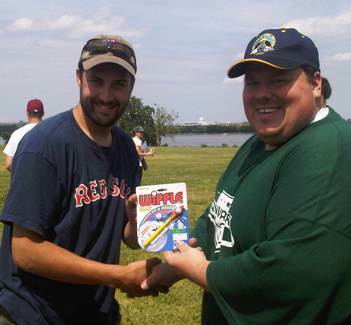 Brian Ford of Scared Hitless picked up his first Player of the Week Award this week. In a late surge of voting, he overtook Sean Conway to claim the keychain. Ford is mostly known for his pitching, a former Cy Young winner he also teamed up to toss a no-hitter during Week 1 but was edged out of a usually guaranteed nomination because he didn’t complete the game. He was nominated this week for his bat, which has surprised the league after the first two weeks.